A quick trip on the 4.1 or 4.2 water bus will take you to a quiet island with a hotel, a yachting center, and public green space where dogs and children can run. 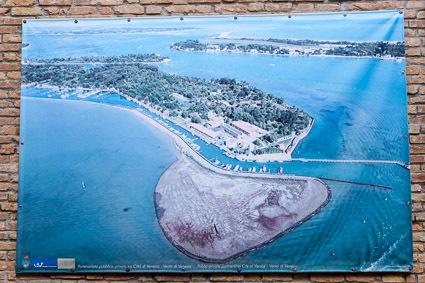 ABOVE: A poster at the Venezia Certosa Marina shows an aerial view of the island. 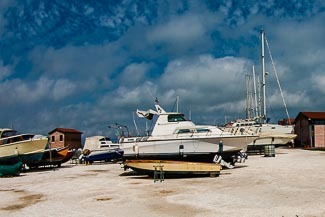 In other articles, we describe islands such as Murano, Burano, Torcello, and the Lido di Venezia. All of these are popular with tourists and are well worth visiting if you're spending more than a few days in Venice. 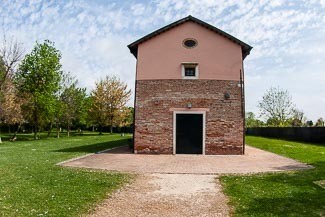 Certosa has been settled since 1199. The first settlers were Augustinian monks; after they left, Carthusian monks arrived from Florence in 1422. The island later served as a Napoleonic and Italian military base and firing range, with its church being stripped of its extensive artworks and later destroyed. 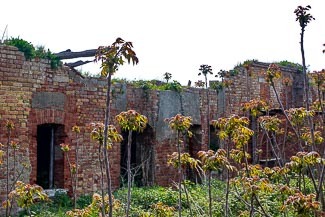 When the army moved out in 1960, the island was abandoned for more than 20 years. 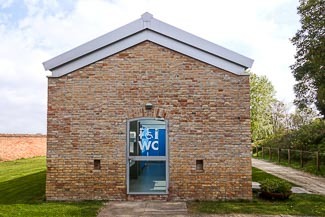 Since 2010, Certosa has undergone a major restoration project, making it an attractive as a place to spend two or three hours away from the crowds in Venice's main tourist areas. 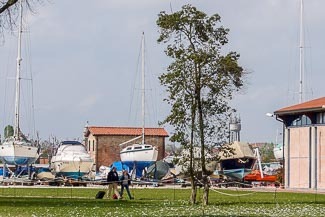 The island also has a yachting center, the Venezia Certosa Marina, which is convenient if you're arriving in your own boat or you want to take a sailing course. 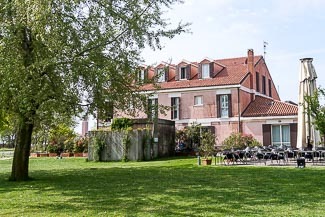 Finally, if you're boatless but looking for a place to stay, or if you'd simply like to have a drink or a meal, you're in luck: The 18-room Venice Certosa Hotel is located next to the marina, within a short walk of the ACTV vaporetto pier. Unless you're arriving by sailboat or powerboat, you have two main choices: Hire a water taxi or--more affordably--catch one of the ACTV Line 4.1 and 4.2 circolare water buses. The ACTV boats run continuously around Venice's city center, in either a counterclockwise (4.1) or clockwise (4.2) direction. 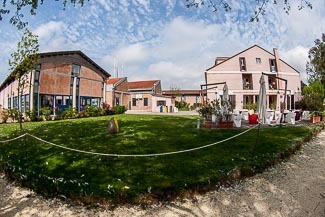 The closest ACTV stations in central Venice, San Pietro di Castello and Sant'Elena, are only a few minutes away. 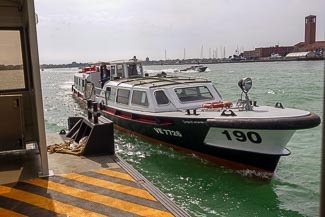 See our Venice Local Transportation articles for more details on public water buses, tickets, and passes. Our page of links to ACTV maps and timetables can help you check schedules for ACTV 4.1 and 4.2 boats. 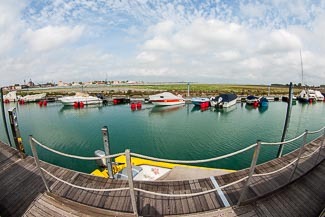 The Alilaguna Linea Blu airport boat service between Venice Marco Polo Airport and San Marco stops at Certosa early in the morning and in the evening, subject to seasonal changes. See Alilaguna's current Linea Blu timetable before making plans. 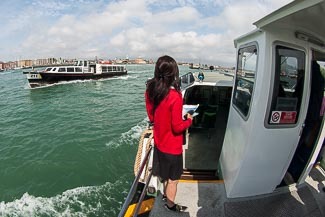 The Venice Certosa Hotel runs a free shuttle boat for guests late at night, with service (on request) to and from the Sant'Elena ACTV waterbus stop in Venice. BELOW: You'll arrive on a motoscafo of ACTV Line 4.1 or 4.2. Be sure to have a return ticket, since the Certosa ACTV didn't have a ticket machine the last time we checked. 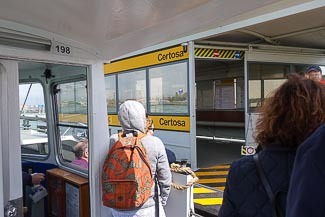 BELOW: Certosa is a "request stop" during the winter months, so if you're headed for Certosa in the off-season, inform the sailor that you want to get off at the island. 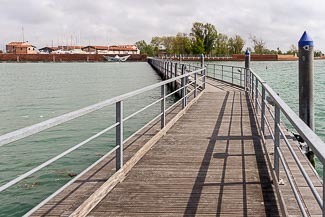 BELOW: From the ACTV pontile or pontoon, a long wooden pier leads to the island. 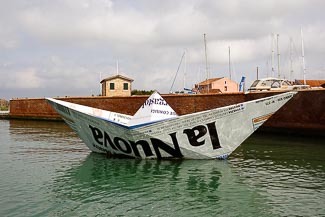 In the second photo, which was taken from the pier, you can see a boat that promotes a local newspaper (La Nuova) and the Venezia Certosa Marina behind. 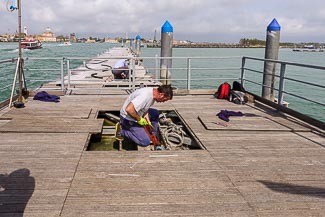 The third photo shows a worker at a maintenance hatch. City utilities supply water and electricity to the island. 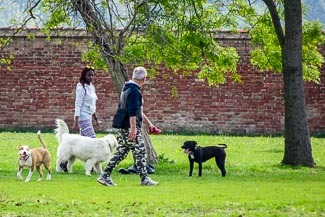 BELOW: Overnight visitors walk to the Venice Certosa Hotel with the Venezia Certosa Marina behind them. BELOW: The marina's buildings (left) and the hotel are clustered at the northwestern corner of the island, close to the ACTV waterbus station. 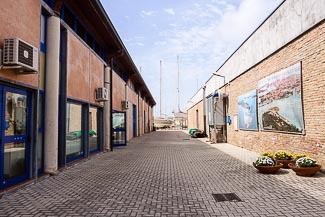 BELOW: The Venezia Certosa Marina is a comprehensive yachting center, with a sailing school, a boatyard, and moorings for up to 300 boats with a maximum length of 60 meters (196 feet). 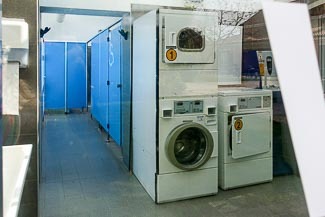 BELOW: A dedicated building houses the marina's toilets and self-service laundry facilities. 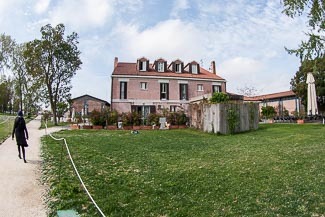 BELOW: The Venice Certosa Hotel is between the marina and the island's landscaped park. It has 18 rooms (singles, doubles, and triples), a restaurant, and a large terrace where meals and drinks are served. 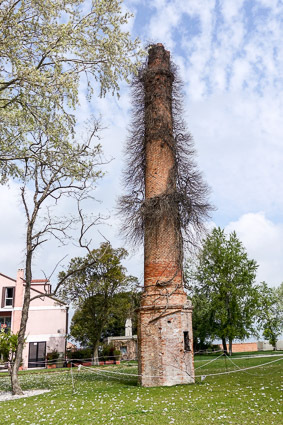 BELOW: This may look like an architectural folly, but it's actually an old smokestack. Its foliage was still dormant when we took this photo in April. BELOW: Another modern structure is the conference center for the marina and hotel, which is set in the park. BELOW: Certosa has a handful of ruins, but you aren't allowed to go inside. BELOW: Take the 4.1 water bus (counterlclockwise) or the 4.2 boat (clockwise), depending on your destination in Venice.